Restaurant owner, chef and part-time amateur sleuth Sally Solari is back and things are heating up both in and out of the kitchen. First of all, one of her cooks has an attitude. Brian has been on edge, and it is affecting his co-workers in a less than desirable way. Maybe he is worried about Sally going into joint ownership of Gauguin, the restaurant she inherited from her aunt, with Javier her head chef. And secondly, her father calls with an unusual request. Apparently a relative by marriage has been found dead by her twenty-year-old blind daughter Evelyn. Italian family ties are strong, even if you have not seen a relative in years, you still help them. So Sally’s dad brought Evelyn to his house because she has nowhere else to go. She is more than welcome, but her service dog has made Sally’s dad’s allergies kick into high gear. Of course Sally welcomes Evelyn and her dog into her home. She is looking forward to getting to know her better. When Evelyn begins to tell Sally about her mother’s death ruled a suicide, the girls soon realize foul play is most likely what happened. Apparently Evelyn’s mom was a gifted chef and had recently struck out on her own, leaving a disgruntled boss behind. Then there are the suspicious co-workers that might be hiding something. 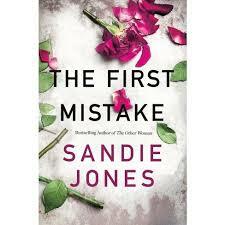 Before long the suspect list becomes longer than the specials menu at Gauguin and Sally is determined to prove her aunt’s death was not an accident or suicide, but a well-planned murder. Detective Vargas warns Sally to stay away from her list of suspects, knowing it is futile. He just wants her out of harm’s way. When he asks her to call him by his first name, Sally wonders if he may want to have a more personal relationship. Speaking of personal relationships, her ex-boyfriend Max is apparently seeing someone. She has mixed feelings about the whole thing. They are just friends, right? Then why is she upset about him seeing another woman? This is the fourth book in this series, but the third I have read. Somehow I missed the first one, but have added it to my reading list. There are references to the previous books, but reads fine as a stand-alone novel if you have not read the previous books. 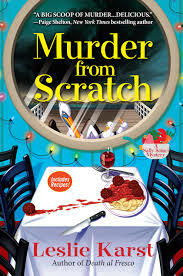 If you read my reviews, you know by now I am a fan of cozy mysteries. I know they are not War and Peace, but no one ever intended them to be. Karst delivers an intriguing plot with lots of suspects, characters that come to life in the pages and a satisfying end to the story. It is all a reader can ask for and more. I learned many things in Murder from Scratch about how blind people navigate through their lives as well as what it is like to work in and run a restaurant. And as a bonus, there are recipes at the end of the book for some of the dishes discussed in the novel. I highly recommend this series if you are a mystery lover, crazy for cozies or just love a good plot without the blood and gore. You will not be disappointed. 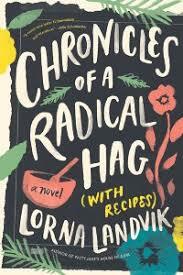 Book Reviews: Chronicles of a Radical Hag – How Well Do We Really Know Anyone? Haze Evans, columnist for the Granite Creek Gazette suffers a massive stroke at the beginning of Chronicles of a Radical Hag but the book is filled with her words and opinions on life. Haze has been writing columns for as long as anyone can remember. Sometimes her columns are lighthearted in nature, but most often with her strong opinions about social issues of the day. She takes on topics that others might shy away from, and gives her own personal take on everything from abortion to assassinations while making each topic even more personal by sharing her life stories bits and pieces at a time. Susan, the editor of the paper decides to run Haze’s columns while her favorite columnist is hospitalized. Susan’s high school age son Sam is enlisted to work for his mom by reading through Haze’s columns to see which ones would be appropriate to run as well as the responses Haze received on the topics. He is an introverted teen with a lot on his mind, mainly the recent affair his father has had which lead to his parents separation. Sam soon becomes engrossed in Haze’s columns, advice and the people who love and hate her opinions. The Gazette readers are finding a new side of their favorite columnist by reading Haze’s opinions from years ago. This interest has encouraged the local high school kids to really discuss issues in their English class instead of the usual disinterest in the meaning of text. Some of the kids have even begun writing – pen to paper – writing down their opinions and thoughts. While Haze seems to have opened her life to her readers, Sam uncovers some things that she has never shared. The further he digs he realizes that one of the secrets could have an impact on his family. But honestly, we cannot know everything about a person, each of us has something we don’t share with others that might surprise even the best of friends. Ms. Ladvik creates a town of engaging characters, old and young. As the reader gets to know each of them, it is easy to see why they behave like they do. Watching them grow and learn is a gift to the reader. It gives us hope for the change that true dialog with others whether written or conversing can initiate. This is the first book that I have read by Ms. Ladvik, but not the first she has written. When I popped over to her website, I found that this is her 15th book. How I could have missed her engaging writing style reminiscent of Fanny Flagg is beyond me. I will be adding the other 14 to my reading list. DISCLOSURE OF MATERIAL CONNECTION: I have a material connection because I received a review copy for free from Netgalley in exchange for a fair and honest review. Wainwright Hollister is a man who always gets what he wants by whatever means he has to employ. Now he is the ringmaster of sorts for the adjusted people rightly named the Techno Arcadians. After an injection that alters their brains, Hollister can control their actions. They are puppets playing to his grand plan of taking over the United States – then most likely the world. Jane Hawk has been on his trail since the senseless suicide of her husband at Hollister’s hand. But the stakes are high. She no longer works within the law enforcement community. She had to go rogue since Arcadians have infiltrated all forms of government from local cops to the highest political offices. She is relentlessly searching for a way to stop them before they ruin the country and closer to home, the rest of her family. Jane will do anything to save her son. In this fifth book of the Jane Hawk series, she teams up with an unlikely ally, computer geek Vikram Rangnekar. She doesn’t ask for or want his help, but she needs him. Rangnekar has been working in the background for some time unbeknownst to Jane setting up what could be the only way to infiltrate Hollister’s army from within. With grave reservations, she puts her trust in Rangnekar and the two of them begin what will either be the end of the Techno Arcadians or the end of Jane and possibly the world as we know it. The Night Window is the fifth book in the Jane Hawk series. I have read two of the previous books, and have always felt I knew enough of the background provided in each of them to understand exactly what was going on. 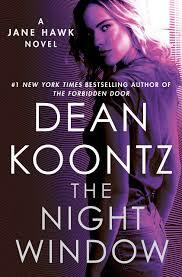 Koontz is one of my favorite authors, his characters and plots have a depth that most authors only aspire to. But that being said, his books read like the page-turning thrillers that they are. Sometimes I need to slow myself down to appreciate his beautiful analogies and turns of phrase. He is the Michelangelo of prose, painting masterpieces with his words. For example, here is how he creates the vision of snow in the reader’s mind: “Snow raveled now in countless skeins through the loom of the day and formed a pristine fabric”. So be sure to take your time, even though the pace is fast, enjoy the sheer beauty of the writing. Best friends cannot keep secrets from each other. That is why Billy has to show Kate, his next door neighbor and bestie what his dad brought him home from work. Kate is interested, but she is in trouble for not doing her chores and has to wait until later to see it. When she finally gets to see the pieces of foil Billy has, she is amazed that it flattens out by itself when either of them crumple it up. Billy’s dad is in the military, and swears Billy to secrecy because he wasn’t supposed to bring the foil home with him. Little did they know those tiny pieces of foil would lead them on a wild adventure. They have to escape capture from an agent with the CIA, drive cars and fly an airplane. Will they ever be reunited with their families? Will the CIA agent catch them and take away the magic foil? Are there aliens involved? There are so many questions, and all of them are answered in due time in this action filled story that will have kids and grownups cheering for the good guys and happy with the ending. 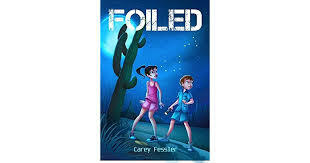 Foiled is set in the late 1940’s near Roswell, New Mexico. It is based on facts and spiced up with fiction. As a kid, I remember them talking about Roswell, the UFO and the aliens that everyone speculated had landed in the 40’s. It was still a mystery when I was a kid in the 1960’s. Today, it is still a mystery of sorts and the author explains the true facts she includes in her story and the things that are fiction at the end of the book. I am far past 9 years old, but thoroughly enjoyed this book. It was interesting and fun to read. The throwback to party line phones, 4 digit phone numbers (yes, I remember my 4 digit number from those days) makes you realize you have traveled back in history. The lack of computers, cell phones, tracking devices and all other things that ruin good action novels these days are not included because they did not exist. Per Ms. Fessler’s website, her books are action adventure books for children 9 and older. It is fabulous that she puts an approximate age range as a guide for parents and others who love and buy books for the young people in their lives. It makes it so much easier to choose a great book that the kids will enjoy. This is Carey Fessler’s fourth book, but the first that I’ve read. I highly recommend it for the youngsters in your lives (be sure to borrow it after they are done). Just imagine the great conversations you can have about history and what the world was like when you were growing up after you have both read it. Violet (“Lettie”) has been in the foster system her entire life. She has had the necessities of life, but living with very strict, religious foster parents, she longs to live a life of her own. So the minute she is old enough, she sets out on her own for San Francisco. The 1970’s are full of free love and drugs, neither of which she is really a part of. A few months later she is hungry and out of cash, but her fortune changes when she meets a Kenton Chandler, who offers her food and a job if she will go with him to Oregon. She hesitates but decides it just might be her salvation. Kenton is full of surprises. His father owns a fledgling vineyard and he is going home to work in the family business. As soon as Lettie arrives there with him, she feels as though she is home. She has finally found a place that she loves and embraces the land and the people she meets. Times will not always be easy for her, but knowing she is surrounded by everything and everyone she loves she knows she will spend the rest of her life there. It is easy to jump into the interesting world of wine making, and the surrounding vistas are vividly brought to life in this novel. I would have liked some more information about the winemaking process. I enjoyed the characters, they are believable and multidimensional. The only problem I had with this book was the timespan. It begin in the 1970s and progresses through three generations in a 256 page book. Sometimes I wanted more details. Major events were mere paragraphs. In order to pull me into the story and characters, I would have loved more details. It seemed at times the plot was getting in the way of the story. 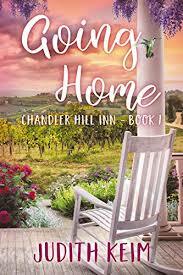 Going Home is the first book in the Chandler Hill Series. This is the fifth series for prolific fiction series author.